The 8 in. 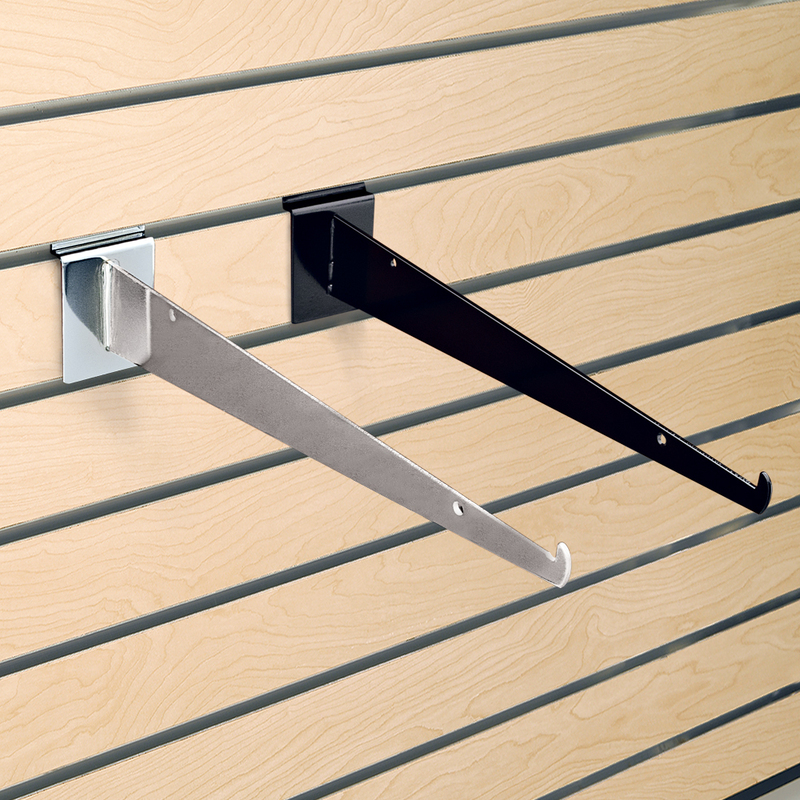 slatwall shelving brackets are available in black or chrome. Use the slatwall shelving brackets with wood,plastic or glass shelves. When using the glass shelving glass rests should be used. (#2781, #2782 or #2783).